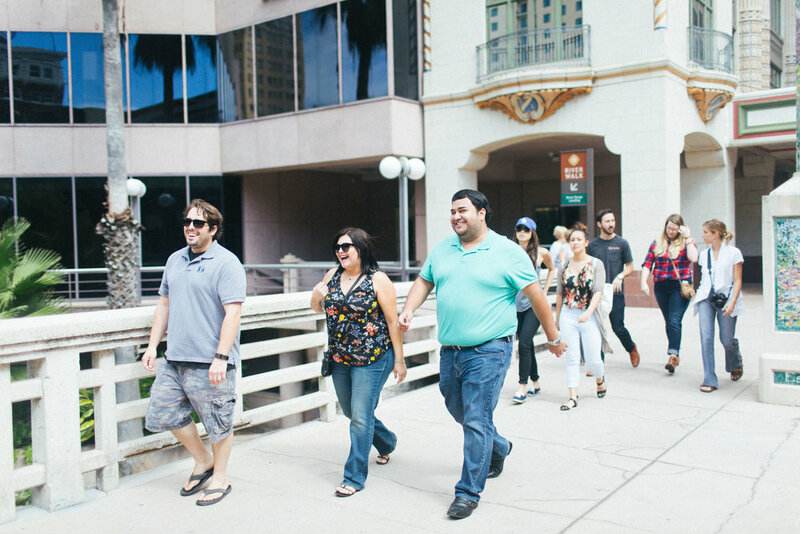 Take a break from conference rooms and meetings and take your team out on the town with SA Food Tours! Hosting your remote team? Enjoy the perfect team-building activity with a private, customized experience that will give your group a glimpse of everything San Antonio’s culinary scene has to offer. We will take care of the organizing and planning, all you have to do is show up and enjoy a relaxing, morale-boosting adventure with your team. ENJOYING THE BEST FOOD SA HAS TO OFFER - A TEAM BUILDING EXPERIENCE TO REMEMBER! Our customized tours are what foodie dreams are made of. Enjoy a private experience in a relaxing and fun-filled environment while getting to know the rich cultural history of San Antonio. From groups of 10 to 100, customized food tours give you a chance to experience a memorable culinary adventure. Taste your way through the city on an SA Food tour! Our private and corporate food tours are custom-fit for your needs. With a group of 10 or more you can select an option from our existing tours or customize a tour in which you choose the number of stops and the duration of your private tour for flexible pricing. Once you book a tour with us, you’ll receive a confirmation email with all of the details for the day-of including the start and end time, destinations, and meeting place for your group. Ready to book? Please be ready to provide the main contact information for your group leader and any dietary restrictions for the group members. We are happy to answer any other questions you might have! San Antonio holds the honorary title Creative City of Gastronomy by UNESCO, making it only the second city in the U.S to earn this designation, and the first in Texas. The cultural confluence of flavors and influences makes San Antonio a growing destination for food lovers! Whether you’re a local who’s looking to explore some unknown corners of the SA food scene, or you’re visiting from out of town, we promise to show you a good time on our corporate tour.